When professionals in the public sector want to engage in unique and meaningful development opportunities, they look to Bob Ramsey Executive Education. In particular, seminars offered through the center’s Management and Leadership Institute offer invaluable day-long relationship- and knowledge-building sessions for public service professionals. On Jan. 23, Ramsey held a one-day institute seminar called “Public Policy and Administration: Roles, Responsibilities, Outcomes.” Catherine Eden and Terry Goddard, both professors of practice within ASU’s School of Public Affairs, facilitated the seminar that focused on generating a clear understanding and appreciation of the roles, perspectives and obligations connected to developing and applying public policy. Expert panelists at the January seminar included Jack B. Jewett, president and CEO of the Flinn Foundation, and former Arizona State Legislator; Alfredo Gutierrez, president of Tequida and Gutierrez (Spanish Communications Strategists), founder and editor of La Frontera Internet newspaper, and former Arizona State Senator; and Jack Tevlin, public policy strategist and former City of Phoenix deputy city manager, chief transportation advisor and executive assistant to the City Council. Nearly 40 people attended the non-degree, non-credit January seminar, including participants from the Phoenix Police Department, various fire departments, tribal organizations, Arizona Department of Gaming, and the City of Tempe. Participants explored current trends and examined future trends in government, compared perspectives of elected and appointed officials related to their roles and obligations, weighed the impact of community engagement on the political process, and examined how respect and civil discourse affect the success of government work. But the benefits of attending went even deeper than the surface topics. The next opportunity to participate in a Bob Ramsey Executive Education seminar is on Feb. 20. The seminar, “Change and Transition: Establishing Stability and Moving Forward,” will be facilitated by commander Kim Humphrey, a 29-year veteran of the Phoenix Policy Department. In the February seminar, participants will learn how to leverage efforts to implement successful change and transition through building trust, maintaining focus, generating a return on investment and more. 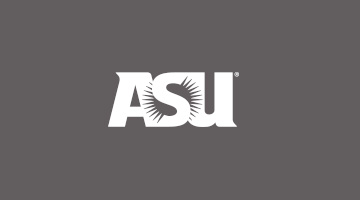 To view more information about seminars offered by Bob Ramsey Executive Education, visit http://ramseyexecutive.asu.edu/seminars.